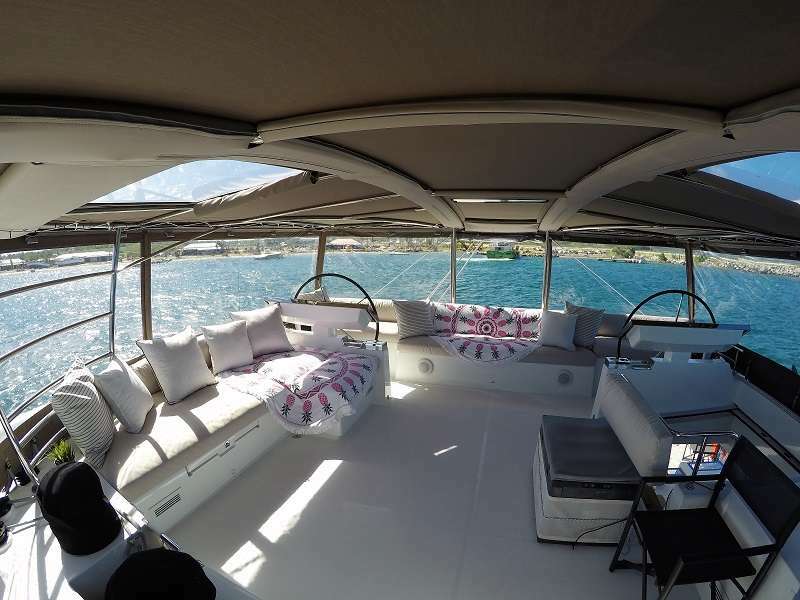 Avalon's owner has upgraded her yacht and we are very pleased to introduce Bagheera, which is a new version of the Lagoon 620, called the "Essence" line, and recently exhibited in the Cannes Boat Show. This version satisfies customers who were requesting more of a ‘motor yacht’ layout. 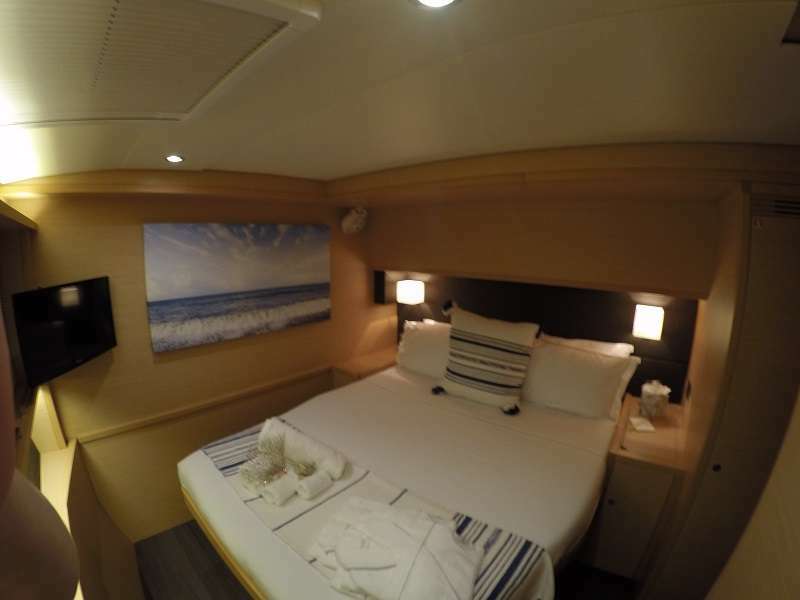 Many have admired the Lagoon 630 MY’s interior, so they developed this new version of the Lagoon 620, with amenities inspired by the atmosphere of the Lagoon 630 MY. Alex and Carla from Avalon are exited to be taking the helm this winter season and will continue the exemplary service for which they are renowned. 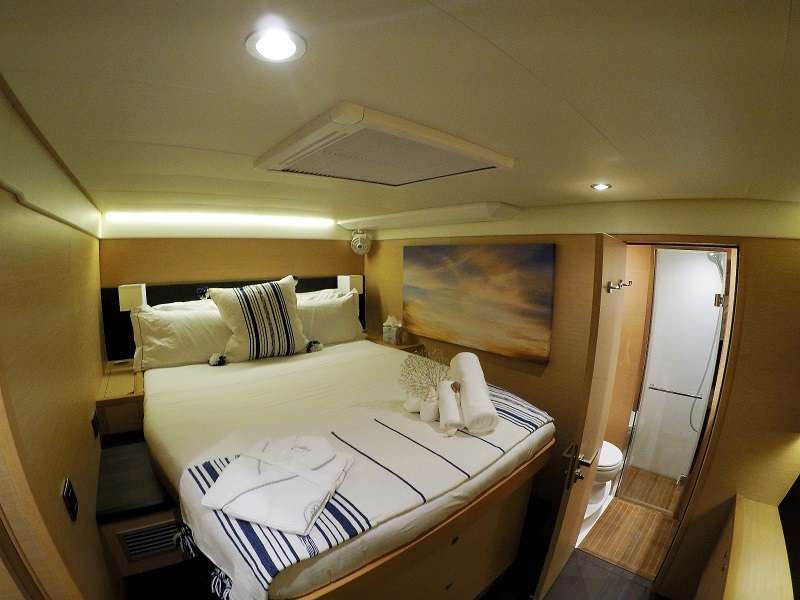 Bagheera has a full Bimini on flybridge with full wrap around enclosure. 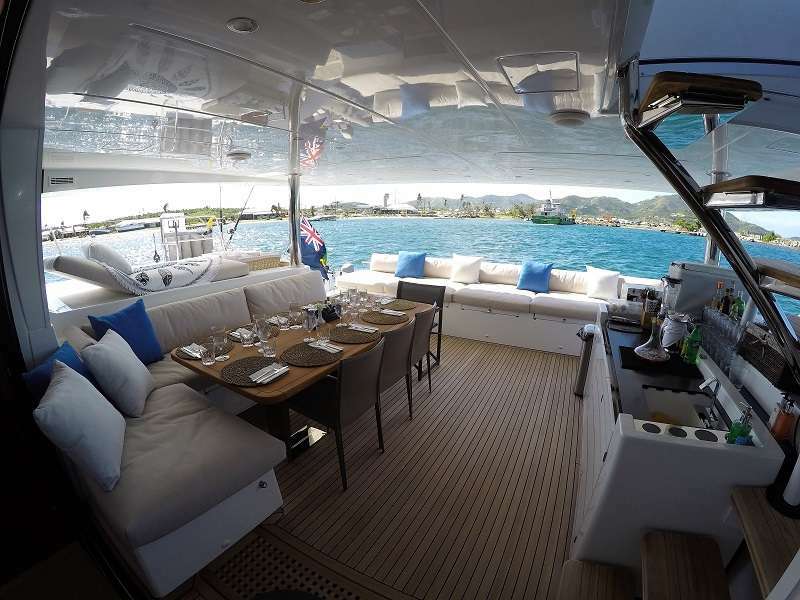 Flybridge and helm station. Chiller for cold beverages. 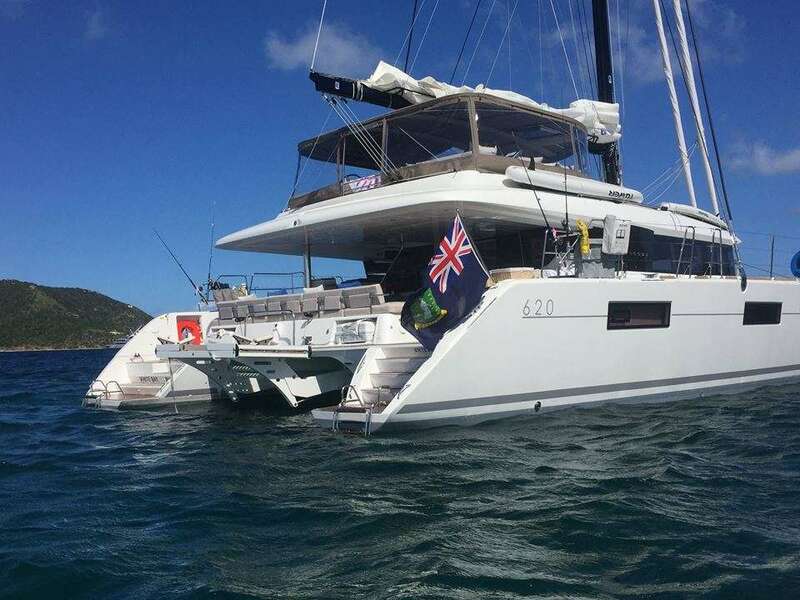 The bimini offers drop down clear sides for protection from wind and rain if needed. 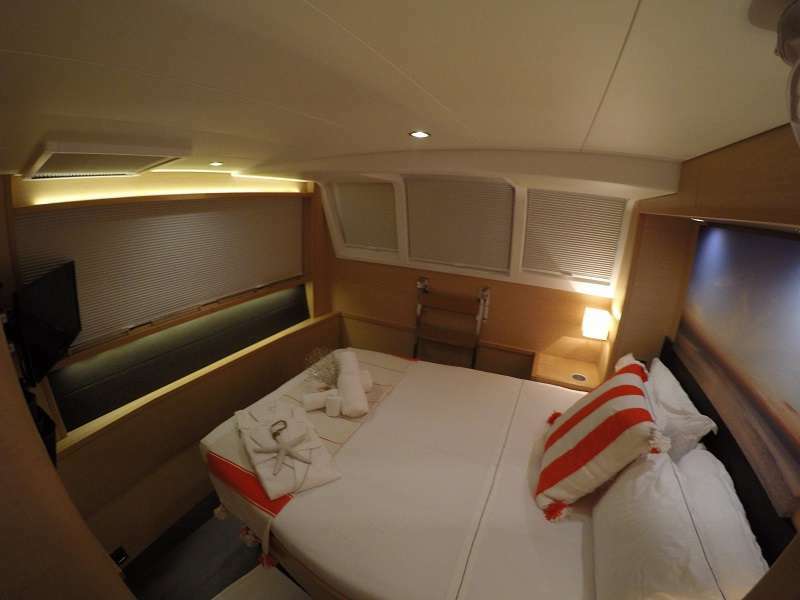 Queen size cabin with walk around bed.. Bed faces full size window. Queen size cabin with walk around bed. All cabins have Smart TV's. 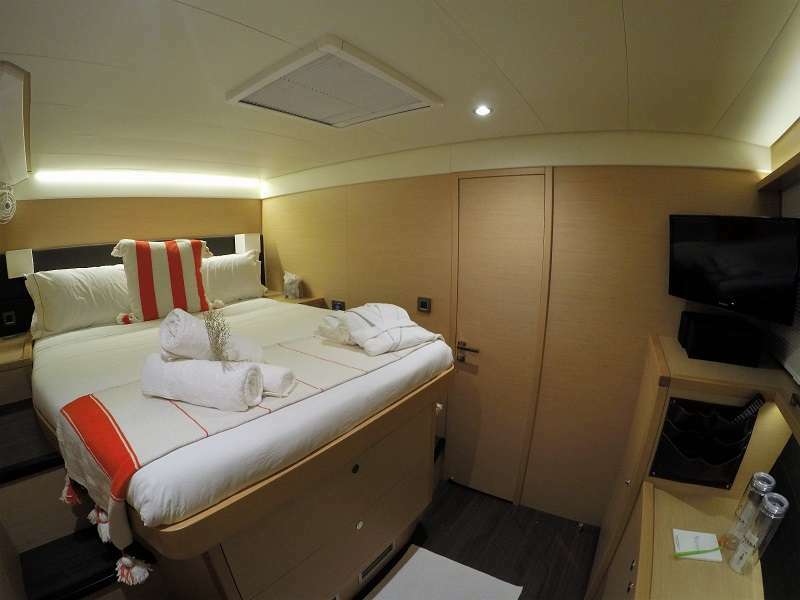 All cabins are ensuite with head and shower.